From 2011 to 2012, the group got organs from nearly 40 live donors in hospitals with the help of other doctors and medical staff, making a profit of over 1.5 million yuan (US$243,000), the report said. The World Organization to Investigate the Persecution of Falun Gong reported in 2006 that Zhu Yunsong—the name and title in the World Organization report match those in the Legal Daily report—was involved in harvesting organs from living Falun Gong practitioners, killing them. In July 1999 the Chinese regime began persecuting Falun Gong practitioners. The then-head of the Chinese Communist Party, Jiang Zemin, feared how many people had taken up the practice and how attractive the discipline’s traditional moral teachings were to the Chinese people. According to the book “Bloody Harvest,” an investigative report into this forced organ harvesting, the regime’s hospitals began using practitioners as a source for organs soon after the persecution began. 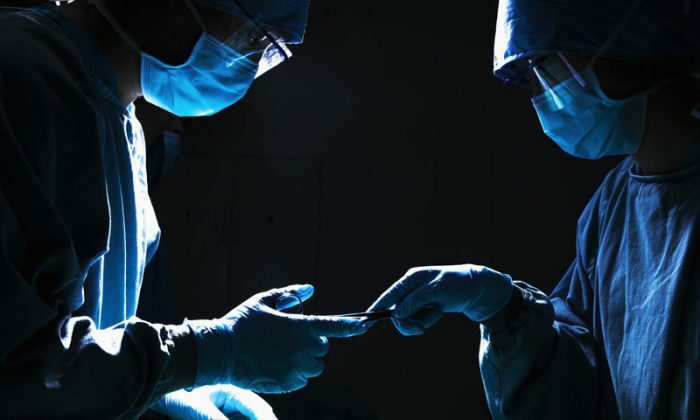 The authors of the report, former Canadian Secretary of State (Asia-Pacific) David Kilgour and international human rights lawyer David Matas, have estimated that by 2008 62,000 practitioners’ organs had been harvested. The number of those whose organs have been harvested since 2008 would be tens of thousands larger. An investigator for the World Organization pretending to be a relative of a patient who needed a transplant called Zhu Yunsong in 2006 and asked him if he had organs from Falun Gong practitioners. Zhu has done over 1,400 organ transplant surgeries in the past 13 years, according to the Chinese magazine Time Weekly. At a session of the World Transplant Conference held in San Francisco from July 26 to 31, David Matas commented on the reports about Zhu Yunsong and the arrest of the organ trafficking ring in China. Matas noted that Falun Gong was not mentioned in the reports, but then noted that the persecution of Falun Gong is a very politically sensitive issue in China. “It [the Falun Gong issue] divides the Party, and power struggles revolve around it,” Matas said. “What we see on the surface is very different than what is going on underneath,” Matas said. The mention of Zhu Yunsong in connection with “organ transplant abuse” in China’s press coincided with the unexplained absence at the World Transplant Conference of a major figure in the organ transplantation establishment in China, Dr. Wang Haibo. Wang is director of the China Organ Transplant Response System Research Center of the Ministry of Health. Without explanation, a video of Wang’s remarks was shown to the conference. People who knew Wang appeared to be confused at his absence. Wang made news in April 2014 when he announced that China had no intention of announcing a schedule for replacing the use of prisoners’ organs with voluntary donations, breaking promises to move to a strictly voluntary organ donation system.